From advertising to social media, all parts of the marketing mix help drive brand engagement, but one of the most memorable ways to connect with your consumers is through experiential marketing. When it’s done right, it allows you to create a more personalized connection to your brand through impactful, one-on-one interactions. 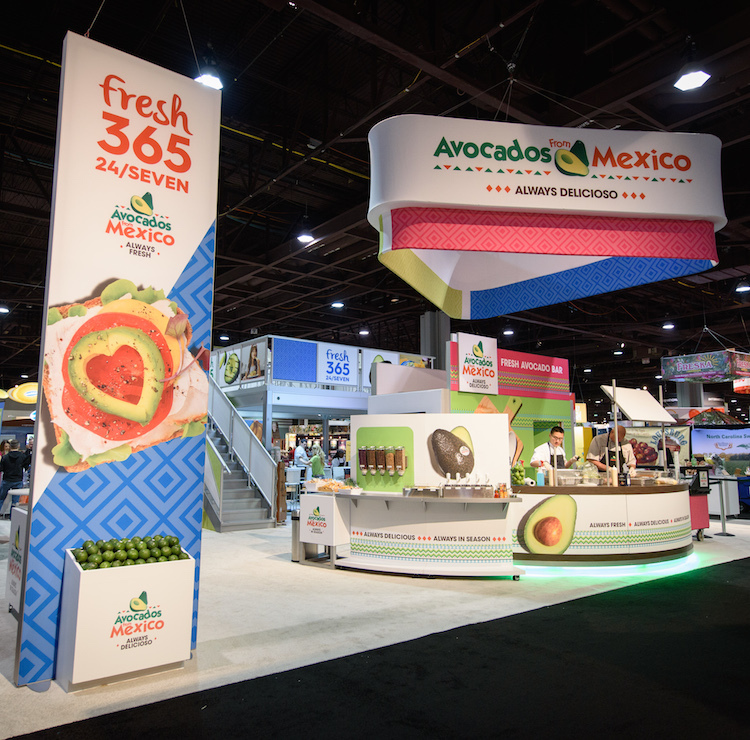 The IMW team recently completed a large-scale event for our client, Avocados from Mexico (AFM), at the 2015 PMA Fresh Summit Expo — the largest produce marketing show in the country. Through a vibrant exhibit space, fun engagement activities and show-stopping food samples (avocado ice cream anyone? ), AFM was able to stand out amongst a sea of more than 1,000 exhibitors. While there is no “one size fits all” approach to experiential marketing, there are key ways to help your brand make a lasting impression. Every brand has a personality. Make sure yours shines through from the moment your guests enter your exhibit space or special event. Be sure your entire team understands the messages you want to highlight so they can convey them with confidence and enthusiasm. The event is an extension of your overall brand so it’s important for the Creative to align with your TV spots, print ads and other communications to reinforce your brand message as you interact in a more personalized setting. Think about the sights, sounds and smells that will get your consumers’ attention and invite them in. When you provide a multi-sensory experience, your audience is more apt to remember your message and respond to the call to action. When planning your event, think about the “wow” factor. What does your audience care about most? What will generate buzz or make them laugh? Can you build on the excitement through social media? Strive to be the one that everyone remembers because you offered something fun, exciting or different. Set clear objectives before the event and measure all of your accomplishments. Not only does this create a benchmark for the team’s success, it also helps with future event planning. Since you’ll be interacting one-on-one with attendees, it’s important to pay attention to the feedback so that you can adjust elements in real-time, and continually refine and improve upon the experience moving forward.